The 200th anniversary of Laura Secord’s famous walk is June 22nd, 2013. 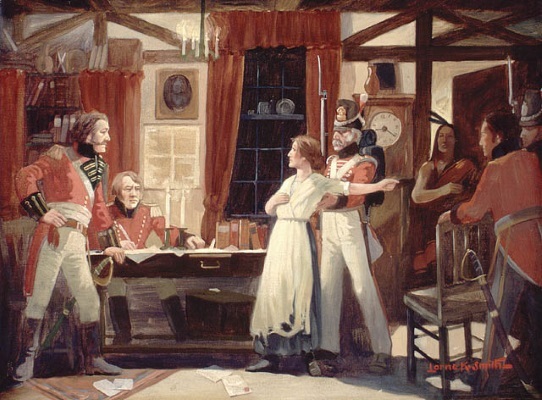 With this date fast approaching, SmartGIRL WORKs interviewed author Connie Brummel Crook (Acts of Courage: Laura Secord and the War of 1812) to talk about this Canadian heroine and what it was like to writer her story. 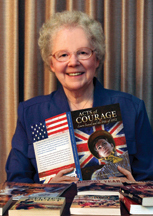 Pajama Press is pleased to announce that Acts of Courage: Laura Secord and the War of 1812 by Connie Brummel Crook has been shortlisted for two different 2012 Word Awards, in the categories of Young Adult and Historical Fiction. The winners will be announced at at the 2013 gala to be held at World Vision Canada headquarters in Mississauga, Ontario on June 12, 2013. Tickets can be purchased at The Word Guild’s website. Connie Brummel Crook is a historian, a former teacher, and the author of fifteen works of historical fiction for young people. 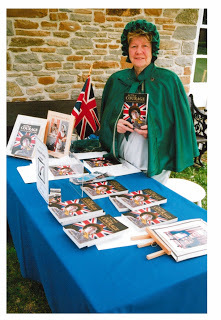 She shared some insights with us about writing in her genre, and especially writing her most recent novel, Acts of Courage: Laura Secord and the War of 1812. Acts of Courage contains a lot of historical figures, and a lot of characters based on real people, but Red—James FitzGibbon’s childhood persona—is your own invention. What led you to introduce this character? As a novelist and former teacher of English, I saw the need for the entrance of a boy in the story to attract male as well as female students to read my book. When I investigated Laura’s younger years (about which little had been written) and I found out about her father’s part in subduing Shay’s rebellion, I could see the way to work a teenage boy into the story. Since FitzGibbon would play such an important part later in the story, I thought of bringing him into the story sooner. After all, I am writing a novel—not a biography—and must adhere to some characteristics of novels, which I taught my classes for many years. A lot of texts about the War of 1812 gloss over the hardships and injustices faced by the Native peoples who were involved, but you clearly made a deliberate choice to highlight the Mohawks’ struggles for survival. Why was that so important to you? When I first researched for this story, I became fascinated by the writings of Joseph Brant. In fact, in the first book I wrote about Laura he became so prominent that, when I sent it to the editor, she told me that I could not change main characters in the middle of the book. As a novelist I knew that, but I had become captivated by Joseph Brant. He wrote not only about the injustices faced by his people, but also about the white man’s lack of justice to their own. For example, when the British poor could not pay their debts, they were put in debtors’ prisons. Whole jails were filled with these prisoners. Joseph Brant pointed out in the most eloquent language that among his people, destitute widows and others in need were taken in and helped by the rest of the tribe. He said that his people were known as savages and yet the white men who did such things to their own in need thought themselves to be civilized. Who were the real savages, he asked. Also, as a descendent of Loyalists, I recognize the great help of the native peoples who were on the side of the British in the American Revolutionary War. They had great farms across the northern part of the present state of New York, and they were burned out by the American rebels when they took the part of the British in the war. After the war, the British should have given them the same as the white Loyalists, for they gave up just as much. Joseph Brant and his sister Molly Brant, wife of Sir William Johnston, were great leaders of their people who influenced them to side with the British. What is your favourite part about writing historical fiction? What is the hardest part? One hard part is pulling myself away from the research to start writing. But that is a favourite part, too, because the research gives me more details about real people, who lived real and productive lives. Another challenge is that one is confined to the main facts. I have been praised for historical authenticity, but that has come to have its limitations too. Reviewers forget that I’m a novelist and when I introduce a scrap of fiction to embellish a story, they can be critical about my addition. That is a hard part especially since all my main facts are accurate. If I do change anything, I account for it in my Historical Note at the end of each novel. Sometimes, I wonder if it is a good idea to change anything, for the historian named Coffin introduced the part about Laura leading a cow through a wood to pass the sentries, and readers believed that for years, even though it was denied by all of Laura’s descendants. Still, I will continue as I have. It’s suited to me because I don’t have a wild imagination like many writers do—but I do have a purpose. I hope that my books may bring to life more Canadian heroes for students to admire. Americans praise their heroes and so should we Canadians. There are many who are so worthy. In your research, have you ever come across a story or person you would like to write about, but haven’t had the chance? Yes, all the time. I would have liked to write about Joseph Brant and also his sister Molly Brant, who married the Englishman Sir William Johnston of Fort Johnston of Amsterdam, New York. She exercized great influence with the Six Nations and her brother Joseph and helped greatly to keep them with the British during the American Revolutionary War. Mohawk women had a much greater influence over their tribe’s plans and voted in their meetings. Also, I was so impressed by Joseph Brant’s own writings. Tommy Douglas is another about whom I’d like to write, or Edgerton Ryerson, who started public education in Ontario. After my Nellie McClung trilogy’s success, I’d like to write about others of the Famous Five who had women declared persons in Canadian law in 1929. Connie Brummel Crook is the author of fifteen picture books and novels of historical fiction. 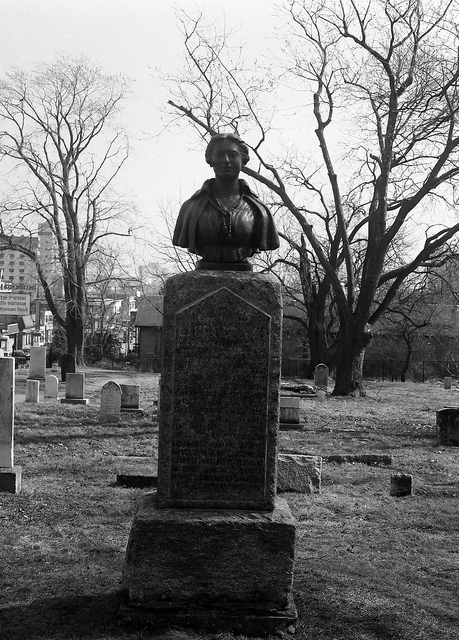 Her most recent, Acts of Courage: Laura Secord and the War of 1812, tells the story of Laura Ingersoll Secord, one of the most celebrated (and sometimes controversial) figures in Canadian history. Today Connie shares what it was like to recreate the story—and the personality—of this courageous woman. I heard tales of Laura Secord’s heroism as a child. My parents were descended from Loyalists. My great grandfather lived with us when I was a very young child, and he sang old ballads about those days. All his songs had a story to tell. My father, too, was interested in history. I grew up with the stories about which I have written. Of course, I did do a lot of research to fill in details that I did not know or remember as a child. I have drawn Laura’s adult character from historical sources and her youthful character partly from an interview over a pleasant lunch prepared for me and my husband by Laura Secord Dunlop, an 89-year-old lady, in the early 1990’s at Kitchener, ON. Mrs. Dunlop’s father had told her much about Laura and he, too, had lived a long life, and so could remember back directly. Since I could not find much that had been written about Laura’s early years before she came to Upper Canada, I asked Mrs. Dunlop about Laura’a childhood. She mentioned that Laura went through a most difficult time when her father, Thomas Ingersoll, married again so soon after her stepmother’s death. After all, Laura’s own mother died when Laura was eight, then her step-mother, to whom she was adjusting nicely, died four years later. Then four months after her death, Thomas Ingersoll married yet again. From Mrs. Dunlop’s comments, it appeared to me that Laura was a strong, determined child at a time when one might think she would have been more fragile. I began to investigate that time period in the States. Thomas Ingersoll, who had fought for the Americans in the American Revolutionary War, was then caught into subduing the rebels of Shay’s Rebellion. So I worked that suspenseful event into my story with Laura involved. The fact that a school teacher from a nearby school was actually killed led me to work in the school events to introduce this part of my story. 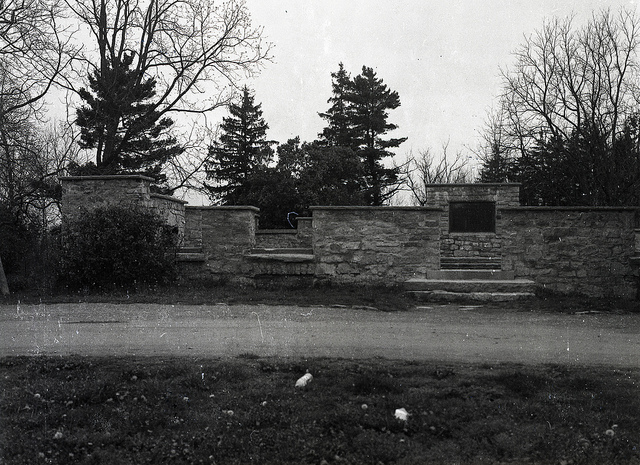 Also, when I was researching, I found out that around 1990, the house that had originally been Laura Secord’s home was, in fact, the library of Great Barrington. So I phoned them for details of the land, house, area, etc. from that earlier time period. A few years later I was contacted by someone working in the archival materials in that library to give them my Canadian spin on some events up here. I don’t know if they ever used it. 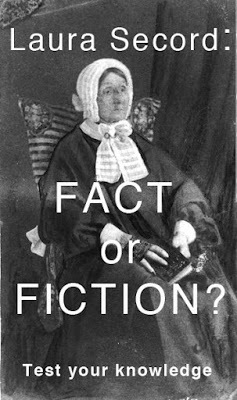 Over twenty years ago, I was asked by a publisher to write a novel about Laura Secord. So I read every book, article, scrap, letter etc. that I could find. I visited Niagara Falls area, where my first cousin lived, and so I was free to explore. In fact, I walked and rode (my husband beside me in the car) over her long trek as much as I could. Some places were hard to find, and many were changed. The De Cew house was only partially preserved, with the stone parts of basement coming up above the soil. Also, I spent a great deal of time at the Public Library. They would not allow me to take out the personal file of letters and such, but they gave me space to work there with these precious files. The more I read, the more I became impressed with the way Laura handled difficult times­—not all of which fit into my story about the War of 1812. In a published source, I found another courageous deed described. After the war, when James was on duty at the Customs, where he had a more prosperous job than his own business had ever been, he heard rumours about an expected attack from smugglers. There was no time to bring in help, and so Laura dressed as a man and took duty with him. The camouflage helped to show there was more than one man there. The ruse worked and the smugglers did not attack because they assumed the plan was found out and probably the police were in waiting for them. Why else would a man be brought in on short notice to accompany the lone Customs Officer, James Secord, who had walked with a limp ever since the war? Laura’s courage even in these later years stood out. Nor did she mind impersonating a man to do the task. Was she not exceptional for her time? Though I always try to write an exciting story, it is just as important to write something accurate enough that the subject of the book would also enjoy reading it. I hope that Laura Secord would find her life honoured and accurately reflected in the books that I have written. In this novel, Laura Ingersoll Secord grows from a curious 12-year-old in Massachusetts to a fearless heroine in Upper Canada. The book is based on the true story of an American family trying to prosper during the years leading up to the War of 1812. Laura’s father is a captain in the American militia who travels frequently. After years of fighting rebel discord, he moves his family north to create a new settlement in Upper Canada. Laura marries genteel James Secord, a businessman and Loyalist, who fought to protect Upper Canada. Her journey to heroism and fame begins here. After boldly rescuing James, injured in battle, she overhears American soldiers planning a surprise attack on Canadian troops. Laura embarks on a dangerous 19-mile journey past enemy lines, through snake-filled swamps and rocky terrain, to warn the soldiers. This decision leads to the Canadian victory at the Battle of Beaver Dams. The rich and detailed descriptions of the rigorous lifestyle settlers endured in the early 19th century will enthrall readers… Secord’s story is a great way for students to learn about the politics of the period and the relationship between the United States and Canada during post-Revolutionary War times. Maps of the Ingersolls’ journey to Canada and Laura’s walk are sure to pique students’ interest and encourage further research. “By staying true to Laura’s undertaking while adding an interesting twist (fictional, of course), Connie Brummel Crook has taken this book from biography to historical fiction with an “Aha!” moment or two.